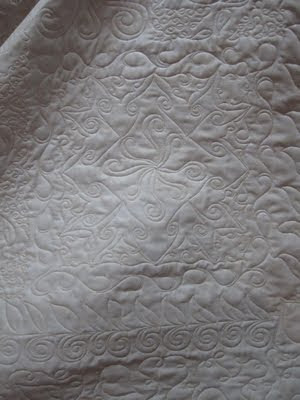 Here are more pictures of the back of Jan's Thimbleberries quilt. 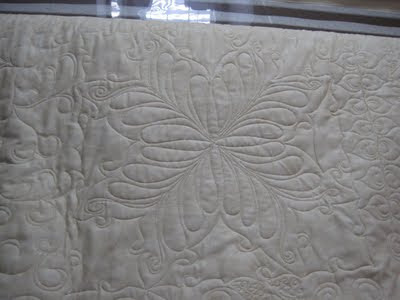 Most of the picture are of the back because the quilting is easier to see. Here is the LeMoyne star block. This is the back of the Crown of Thorn block. Now for a couple pictures of the front of the quilt. 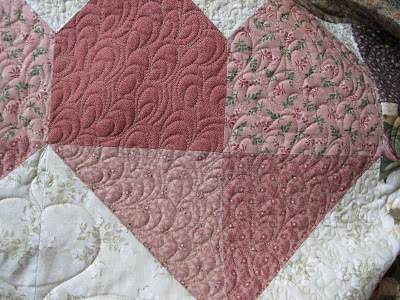 Here is one of the hearts that I quilted with Paisleys. And here is the house for the front. 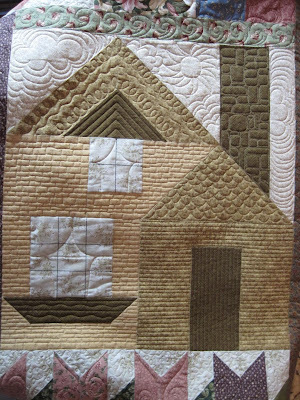 Can you tell this is a fun quilt to quilt? I am going to try to a picture of the entire quilt to post.